If you’ve always wanted to learn how to sing then here’s your chance: the Regional Centre for Culture is hosting nine free singing workshops in regional town hall. Across three Saturdays in June you can learn to sing from professionals and then test your newly tuned pipes with a public group performance on Saturday June 30 at Maryborough Town Hall. 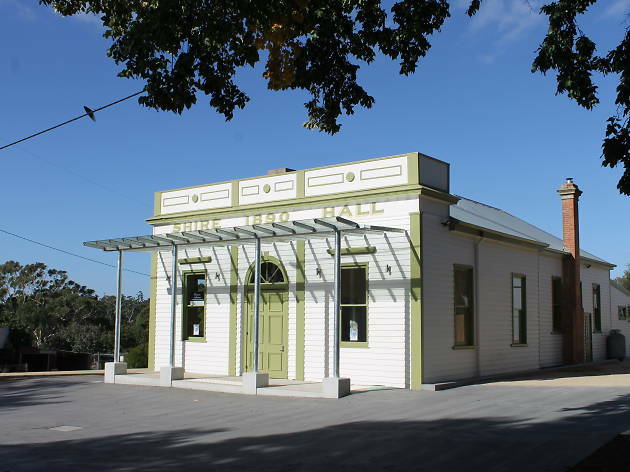 Ten town halls in total will be used to host the singing lessons, spanning Dunolly to Bullarto. If you've got aspirations of being the next Pavarotti you can attend all nine classes but you’re also welcome to just attend one. Lead by singing coaches Tara Flinn, Merrin Torpy and Jane Thompson, participants will learn how to sing contemporary a cappella, country and vocal technique. This event is part of the Regional Centre for Culture; a year-long celebration of the four buzzing Victorian centres of Bendigo, Daylesford, Castlemaine and Maryborough. Find out more about all the events happening in the Regional Centre for Culture in 2018 or book your tickets for the Town Hall Crawl workshops through the links below.